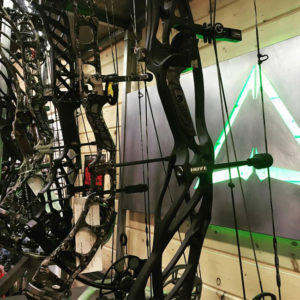 This months ABB dealer spotlight is on Wilde Arrow Archery of Centerville, Utah. Located just 10 minutes north of Salt Lake City you will find just about anything you may need in terms of archery and hunting gear at Wilde Arrow. 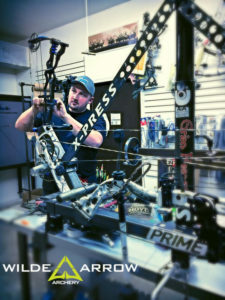 Owned and operated by Jeremiah Plyer since 2003, Wilde Arrow is one of the premier archery pro shops in the state of Utah. 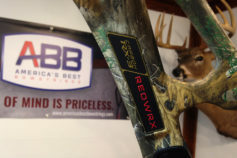 Some of the bow manufacturers that Wilde Arrow carries include Hoyt, Mathews, Prime, and Elite. 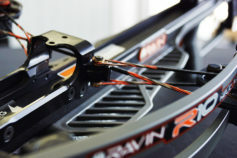 Along with these top bow manufacturers you will find top brands like Easton, Scott Archery, Black Gold Sights, Fuse, Rage, Slick Trick, Trophy Ridge, MTN OPS, and many more. Along with all the great on the shelf items that Wilde Arrow carries they also do high quality service and tuning work for any bow new or old by highly skilled and knowledgable bow technicians. This includes of course installation of that brand new set of America’s Best Bowstrings that you can purchase from the crew at Wilde Arrow. If you are needing to get some practice in for that tag that you just drew, Wilde Arrow Archery has a 30 yard Indoor Range that will get you the reps that you need to be ready for that shot on a trophy animal. If you are looking to become a better shot and enjoy the company of fellow archers you can join one of Wilde Arrow’s Indoor Leagues, which also includes a Youth and Ladies only League. One very unique and awesome service that Wilde Arrow also does is giving back to the men and woman who are currently serving or have served in the military by providing FREE range time every Friday from 11am-7pm to these amazing veterans and their families. Wilde Arrow Archery Owner Jeremiah Plyer tuning up a Hoyt bow. 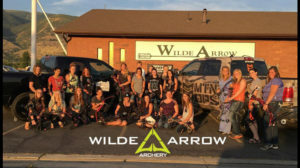 Wilde Arrow Archery will be celebrating their 15 year anniversary this summer and will be having a lot of special things going on, so be sure to check them out the next time you are in the Centerville, Utah area. 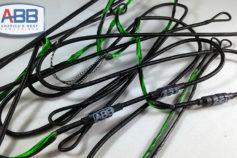 We here at America’s Best Bowstrings would like to thank Wilde Arrow for their continued support and business and we look forward to providing their custom bowstring needs! Previous PostAmericas Best Bowstrings: Setting the bar high for 2018.